We're always in the mood to add a new pair of shoes to our closet... How about you? 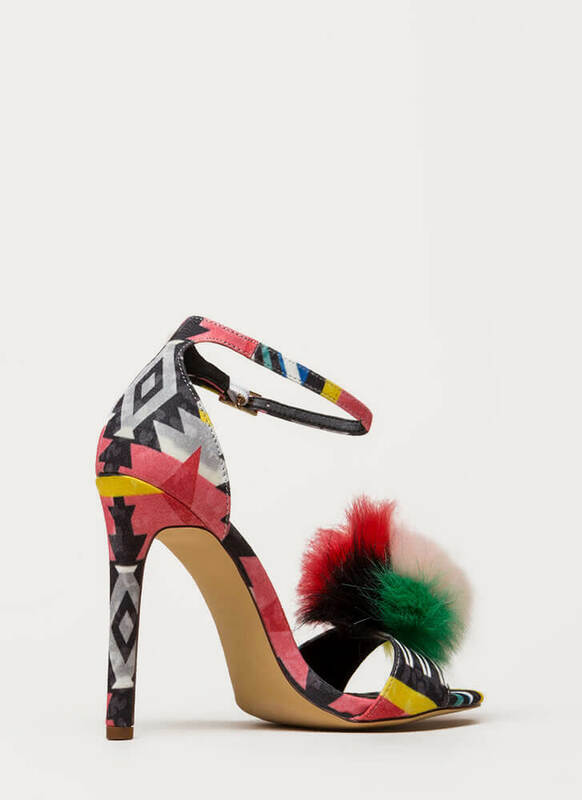 Smooth heels feature a single toe strap embellished with a fluffy faux fur pom-pom. 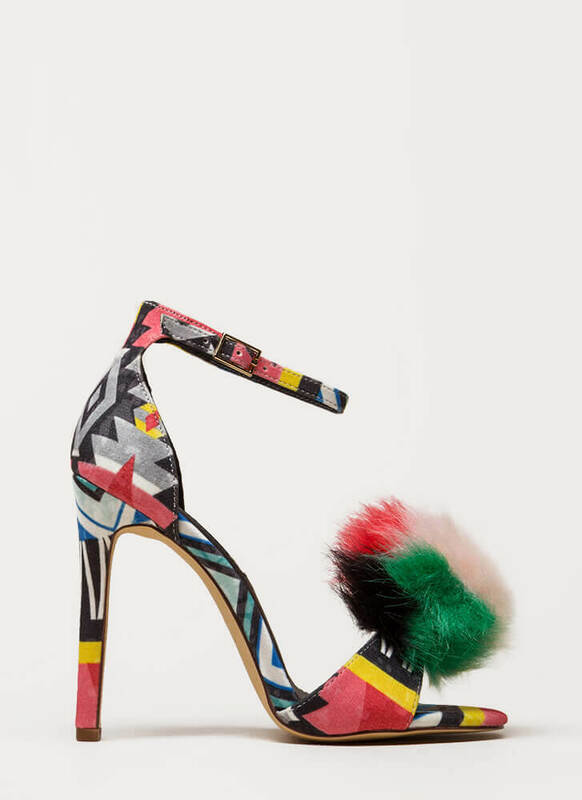 Skinny, adjustable-buckled ankle strap leads to a wrapped stiletto heel. Finished with a ridged sole. My sizes are 6,5 and 7, I took the 7, it still looks small, I think the 7,5 would've been better. It's not comfortable.